Weeds, weeds, weeds. I basically have no grass left in my yard, except of course the bermuda grass that has wandered into my whole yard. Bermuda grass is know as a common grass or weed. OK I call it a weed. It is almost impossible to get rid of. So my goal is to try and keep it out of the areas I don’t want it in so I can achieve my sustainable garden. 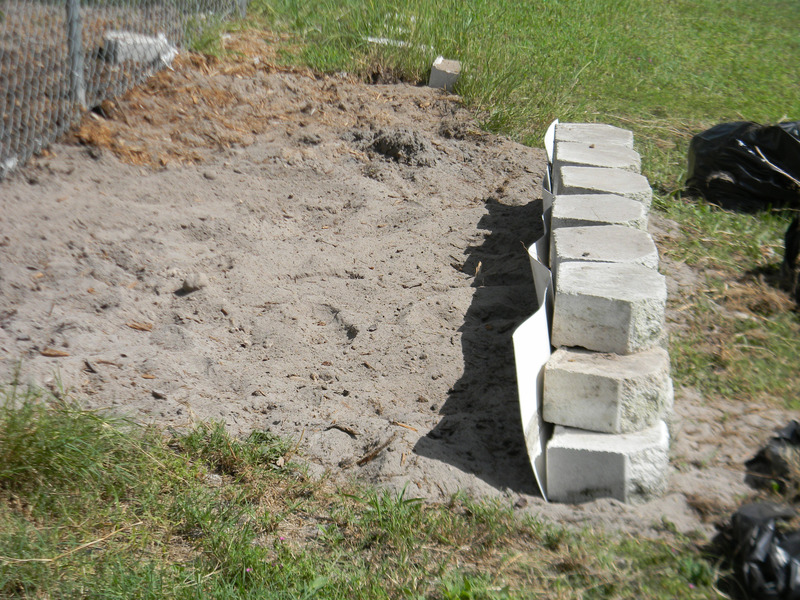 I have mulched, laid plastic, cardboard and put up those plastic edging things. Nothing stops this stuff. It either grows underneath or overtop of everything. I have prayed about what to do. Today Yehovah answered my prayer with a trip to Home Depot. My thought was that I would cut strips of thin plexiglass and place those in the sand. While looking for the isle with this product I wondered down another isle where I discovered vinyl wall board. Hmmm never heard of that before. 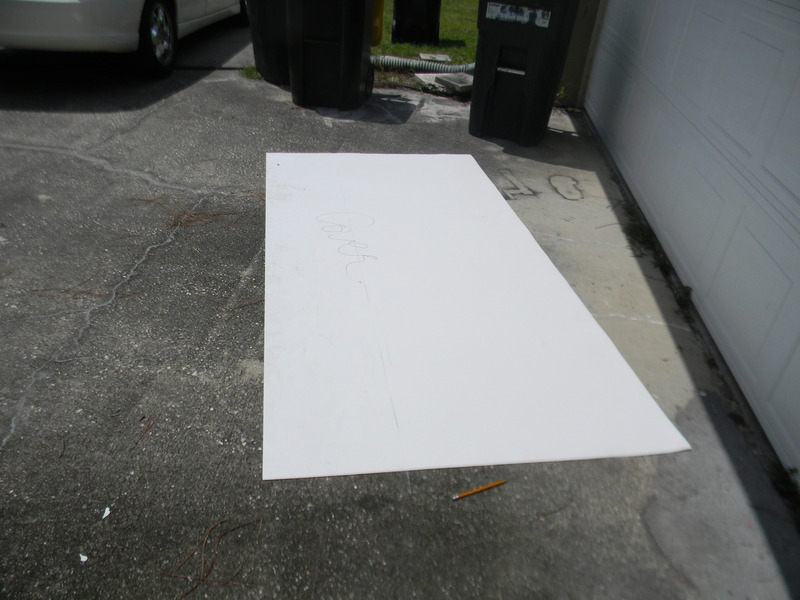 There was a sheet 8′ x 4′ for $23.00. I wondered if this stuff would work. As I tried to find the isle to price plexiglass I ran into a very nice employee and discussed my delima. He stated that plexiglass was very expensive and told me I could cut the vinyl sheet with a straight edge and craft knife and it should work great for what I wanted. I was sold. He began to pull a sheet out and realized that top sheet was not “pretty” and said he could give me a 10% discount. YEAH!! So the cost of my sheet was $21. 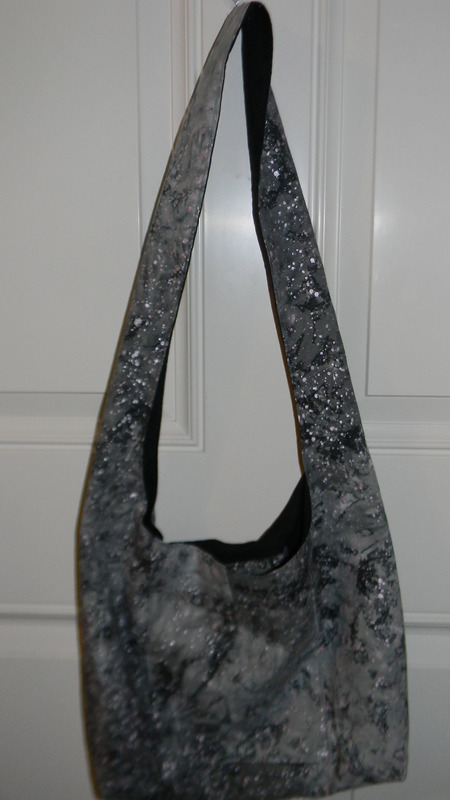 I priced regular edging that measures 5″ and 20′ long and it is around $18.00. So price wise it will about the same cost as regular edging. I brought it home (since it is vinyl the employee just rolled it up and taped it) and indeed it is VERY easy to cut. Even if you don’t cut all the way through you can just tear it. 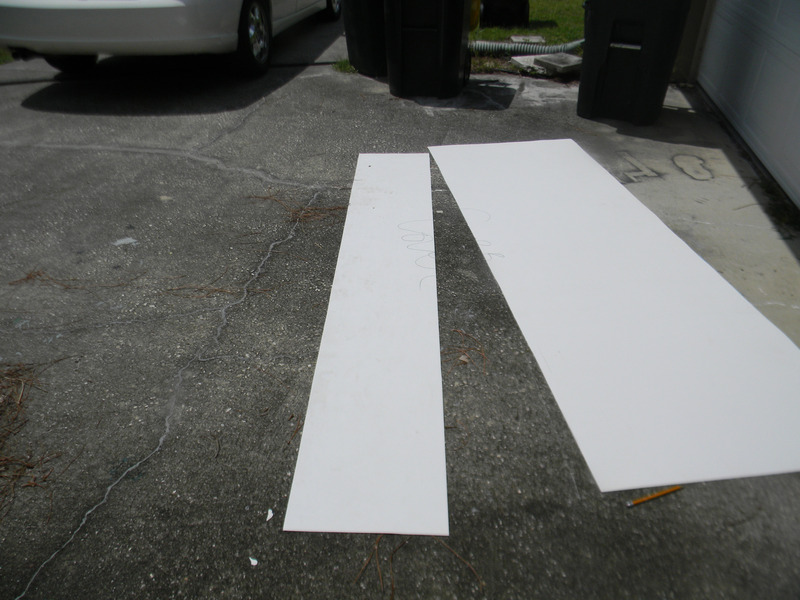 At first I cut a strip 15″ wide. 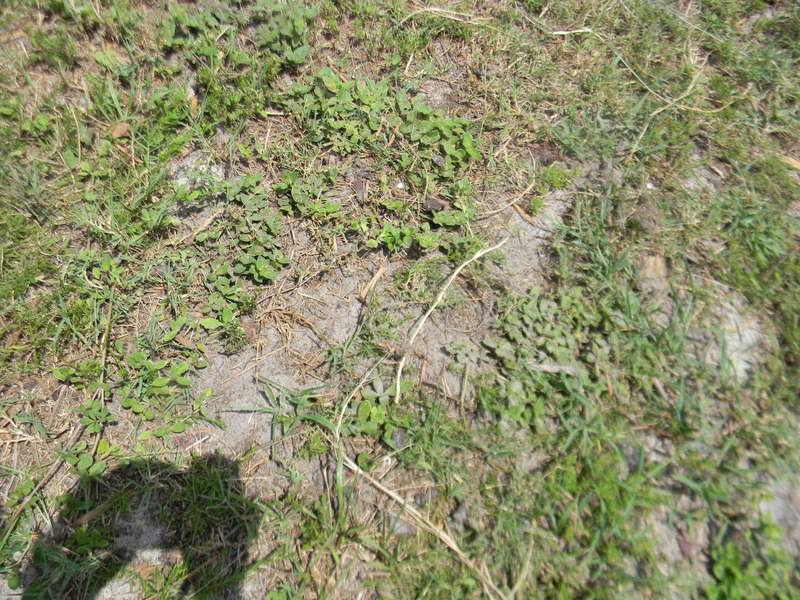 I want to make sure the bermuda grass can’t grow under or over easy. After cutting the strip and trying to place it I realized 12″ would be a sufficient. I also learned that I need to buy the vinyl that is a little thicker and more firm. I could not push the vinyl into the sand but had to dig, which is almost impossible with sand and then fill it back in. This entry was posted in Gardening, Posts and tagged lawn edging, sustainable gardening, weed barrier. Bookmark the permalink.